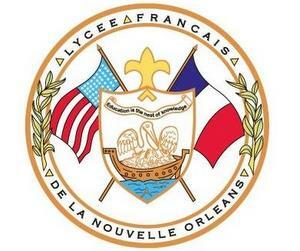 Lycée Français de la Nouvelle Orléans, the French-immersion charter school based in Uptown New Orleans, hopes to sign a lease this week on a building large enough to accommodate its next five years or more of grade-by-grade expansion, officials said Monday. “It’s certainly important to our growth and development, as it will provide us with the resources to house over 500 students,” Abrams said. After the meeting, Abrams confirmed that the new building will still be in the Uptown area. He declined to discuss how the current configuration of classrooms — three at the First Presbyterian Church on South Claiborne, and three at Audubon Zoo — will be affected, but the lease with Audubon was only for one year. The school currently offers two sections each of pre-kindergarten for 3-year-olds, pre-kindergarten for 4-year-olds, and kindergarten for 5-year-olds. Two sections of first grade will be added next year, and board members have previously discussed expanding the kindergarten to more sections (depending on demand) and 4-year-old pre-kindergarten, depending on a state grant to subsidize the cost of it for low-income families. Monday night’s meeting also included discussion of the school’s growing art and athletic offerings, as well as recent and upcoming discussions with state and French officials. To read our live coverage, click “Replay” in the box below. That’s great how the Lycée Français de la Nouvelle Orléans hopes to sign a lease this week on a building that is large enough to accommodate its next five years (or more of a grade-by-grade expansion)! It is an excellent school.